Thanks for the info!!! I hope you can help me with this problem / question I am having. On my computer , I was able to run the emulator (i am using fceux) and download a Rom from this site ....WIth my keyboard .I am able to get to the screen that has me choose Preseason, Season, Pro Bowl, Team Data , and Options but I can not get past that point with my keyboard. I have tried 2 different Roms, same thing! Is there something I am doing wrong, or do I need a USB Controller to play? Please get back to me with your suggestions..Thank you ! Definitely try the PS3 controller as i feel that's the best way to go. The NES controllers look neat.. but if you want to eventually try some other emulators for say SNES, Sega.. you're going to need more than the two buttons A+B. OMG....i would love if you could add the 2015 Broncos team to a Championship Edition! Would be amazing! Can you answer me this? Should I use a computer or purchase a Raspberry Pie to play on??? I am going to try to install the PS3 controller like you told me tonight onto my computer? What do you think are pros and cons of a computer vs a Raspberry Pie and which one would you chose? Thank you again for getting back to me! I absolutely love the Raspberri PI3 i have. So easy to set up and then play on the BIG SCREEN. However, if you can get it running on your PC, with a PS3 controller, and are happy with that, it won't cost you anything more. What i like about the PI3 is the ability to unplug and take to someone else's house, while not tying my computer up. No problem at all.. keep us posted on your progress! Hello everyone, can someone please help me out with this issue. I am trying to play Tecmo Super Bowl on my pc. I have been unable to get a controller to work. I believe I do not have the correct controller or adapter, so please let me know and point me in the right direction. I downloaded the ROM and Emulator and it seems find, but i do not have a controller. Here is what I presently have. I have a PS3 controller , and NES Retro Controllers. I am not sure If i can use those on my pc. 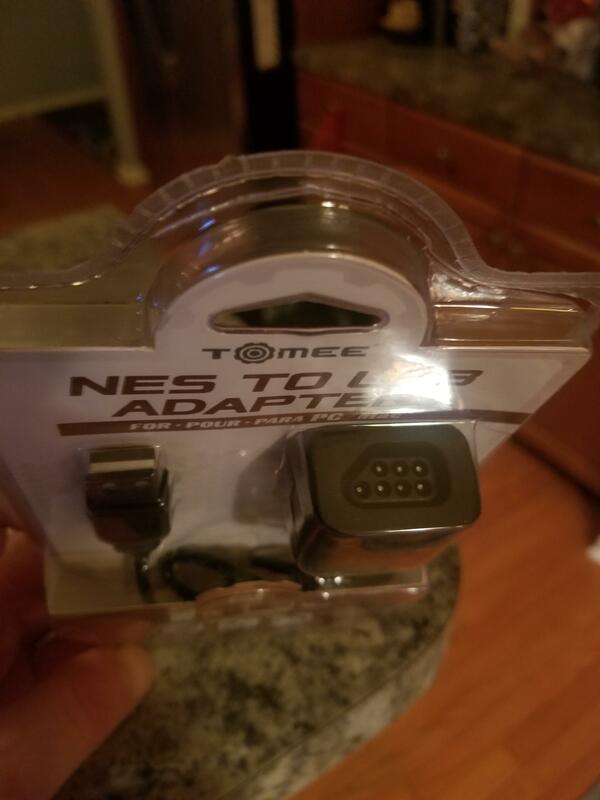 I also purchased this Adapter online ( pics attached) but then I realized that my retro controller don't go with that. What controller should i purchase that will be easiest to play with? I am stuck here not being able to play cause of no controller. Can i use the PS3 one? do i buy a Wii? 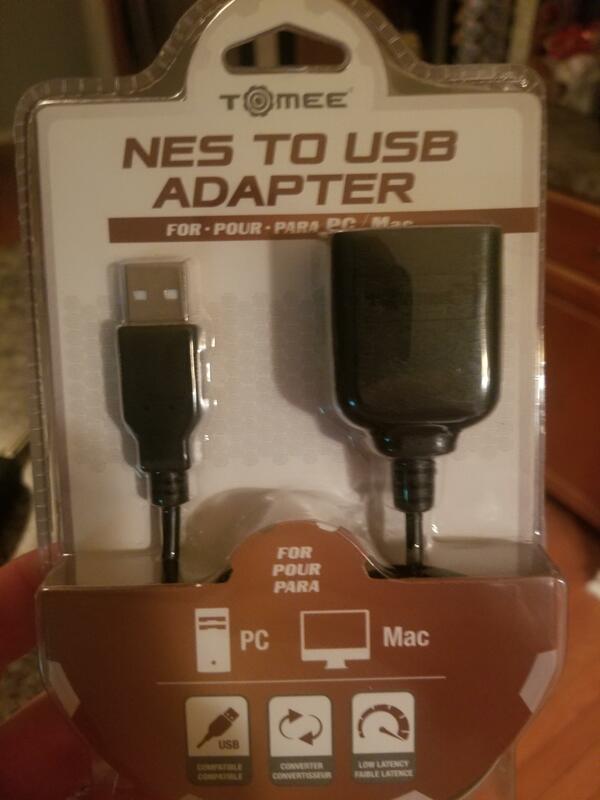 do i buy a NES USB one? please help!!! Thank you for your time!!! PS : This site is awesome!